Absolutely. All children become a member of Casey RACE and have unlimited access to the pool to practice their newly learnt skills or just have fun in the pool with family and friends. Students also have access to the slide and inflatable during scheduled public times at no additional cost. If an account is not paid after two consecutive failed debits, the student will be removed from the class, and the swimming lesson membership and centre access will cease immediately. If your membership is cancelled due to rejected debits, you will need to pay any outstanding balance and re-enrol into an available class. We offer a convenient Make-up Lesson Policy and no-cost medical suspensions. By request, swimming lesson memberships may be suspended at no-cost for four weeks over the holidays (last two weeks of December, first two weeks of January). 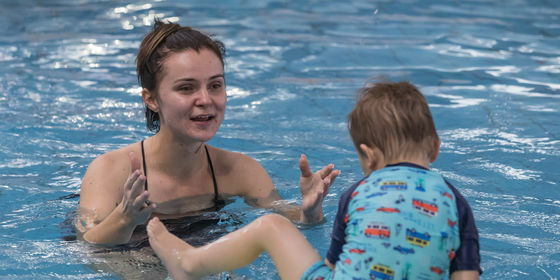 Swimming lesson memberships are perpetual direct debit agreements with no “lock in” period or cancellation fees; we simply need 14 days written notice of cancellation (one more direct debit will come out after notice is provided). As you pay in advance, you will have access to lessons and the Centre for two weeks after your last debit. If you are unable to attend a swim lesson, just let us know prior to the lesson and we will arrange an extra ‘make-up lesson’ at no cost. Every student is entitled to 1 make-up lesson per term of enrolment plus one for each public holiday that a lesson would normally run. We are trialing a new system for organising make up lessons. If you have cancelled your child's lesson at least 2 hours prior to their lesson you may book the make-up lesson for any time within the term (subject to availability). Make-up lesson can only be booked a maximum of 7 days prior to lesson day. T&Cs apply, please speak to Customer Service for more information. These changes are on trial for term 3. Yes, the 25 meter pool is heated to 28 degrees and the leisure/program pool is heated to 32 degrees and the warm water exercise pool is heated to 34 degrees all year round. Infants are required to wear aqua nappies that are tight fitting around the thighs if they wear a standard nappy when not swimming. Standard nappies are not permitted in the pool. Aqua nappies are available for purchase at Customer Service. Please be aware that it is common for children at this age to have difficulty adjusting to swimming lessons. Most children will settle within a few weeks; however we do encourage parents to bring bathers along during this time, in case your child requires additional support. They may appear insignificant but they can make a large difference to a child’s learning journey as they progress through swimming lessons. Most children who do not wear goggles close their eyes as they swim. This can lead to them becoming disorientated or preoccupied which makes them unable to focus on their stroke technique. We offer a great range of affordable youth goggles, just ask Customer Service for assistance. Our teachers hold nationally accredited Teacher of Swimming & Water Safety Certificates, current CPR and screen through current DCSI child-related employment screening checks. All teachers that teach infant lessons hold additional specialised qualifications. Under no circumstances are cameras, video cameras or mobile phones to be used in change room areas.